Fantastic opportunity to own a bright and inviting classic 6 room THREE bedroom unit on the top floor of a 1905 triple decker in a prime JP location. Gracious layout features period detail, oak flooring, bay windows, built in china hutch and pantry off of kitchen. You'll enjoy both a front porch and a large back porch which overlooks a shared fenced yard. Fantastic location and community! -- The Saint Rose St. Community garden is a lovely neighborhood feature for communal gardening and events and private plots. 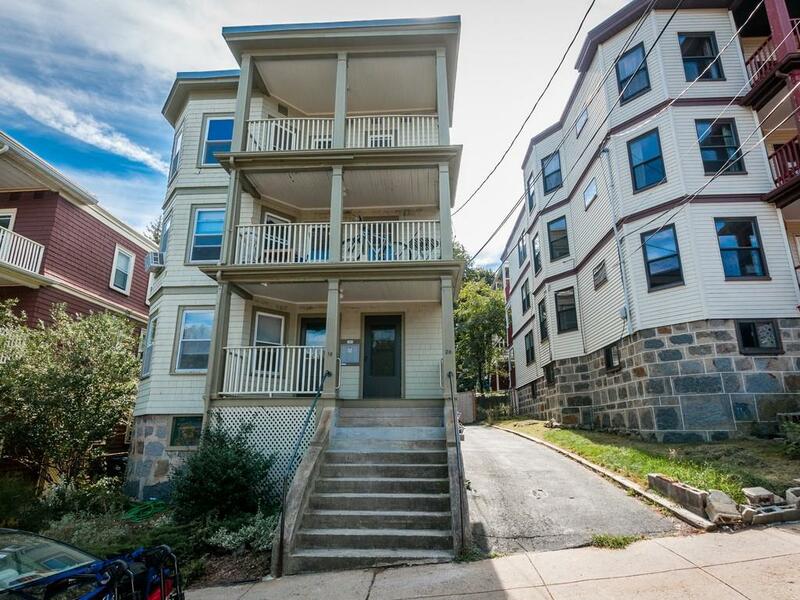 Easy access to the Arborway, and a short walk to the Forest Hills T and Commuter Rail, Arboretum, Jamaica Pond and vibrant Centre Street with its many shops and restaurants. Washer/dryer and storage in basement. Make this one your home!